The failure of modern medicine to find a satisfactory and cost-effective solution to cancer has led many patients turn to complementary alternative medicine for relief. Patients and caregivers both need to get a balanced, scientific evidence-based view of the various nature-based solutions on offer. 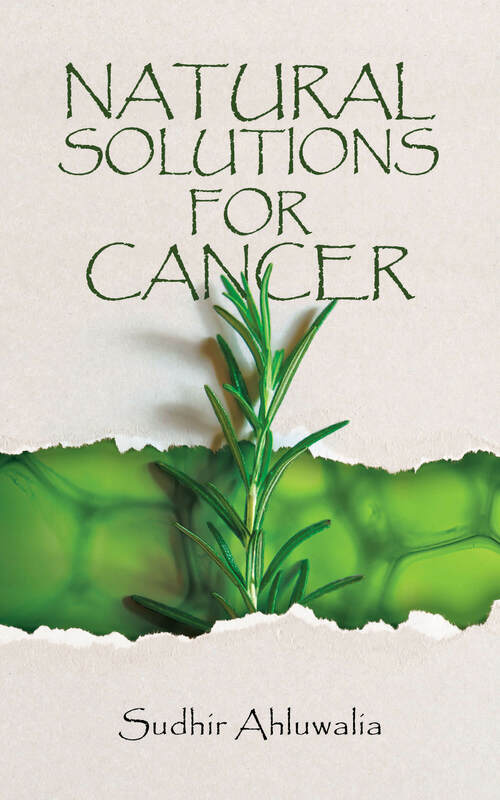 The book is divided into two parts: fundamental principles and herbs used in treating cancer. The popularity of organic and herbal food, herbal beauty care, and medicinal products is rising. This is spurred on the back of a general belief that herbal solutions have little to no side effects. Select herbs and trees from India and China are subjected to critical analysis through a review of the history, botany, ecology, trade, medicinal, and other uses of each of them. As a botanist, I found the discussion on the botanical aspects of various Asian plants is interesting and meticulously described. 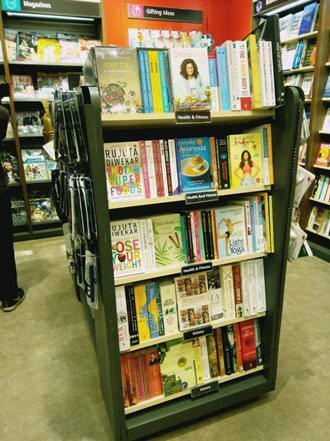 The author has also comprehensively addressed the historical, medicinal and industrial uses of herbs, shrubs and trees. 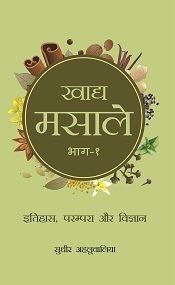 The author did a great job outlining the major parts of Ayurveda medicine and plants. His methods of delivery are very clear and very useful. 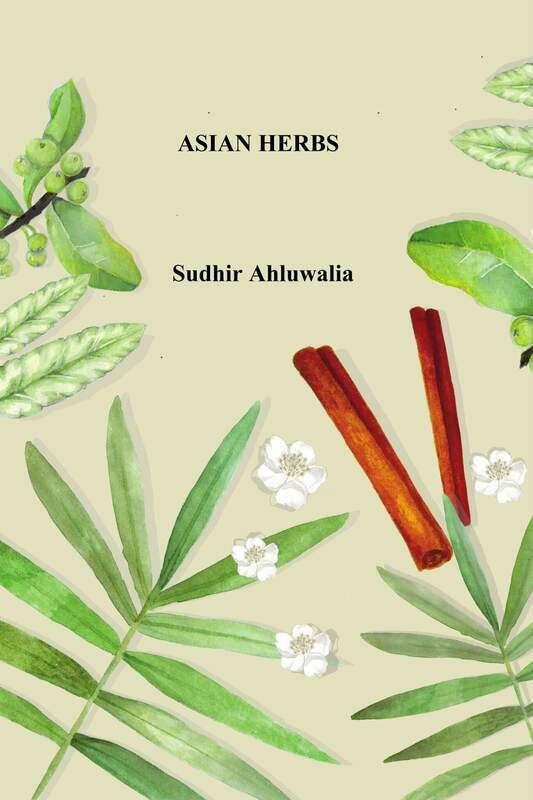 Sudhir Ahluwalia represents a very interesting blend of history of Asian herbs, modern applications, such as current uses as a food and medicine, as well as outlook presenting likely future developments. While Asian herbs are the major focus of the book, surprisingly many additional relevant and exciting aspects are also discussed, ranging from the increasingly recognized regulatory role of microbiota for the human health, to emerging applications of 3D bioprinting. 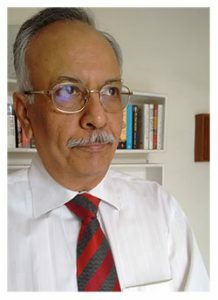 The book ‘ Asian Herbs’ written by Dr Sudhir Ahluwalia, ex senior IFS officer & business consulting head of Tata Consultancy Services gives a very nice information along with colored photographs and a very vivid description about the common herbs used in India & China for pharmacological and culinary uses. 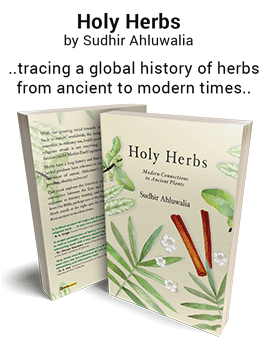 The book not only dwells on the historical & mythological importance of the herbs but also their geographic distribution, morphology, alkaloids found in them, their pharmacological & culinary uses, results of different authentic research done on them in the important research institutions of the world with their references. This kind of perfection is very rarely found in the related literature found scattered here & there. I hope this book will be a great asset for the students, research scholars and the people engaged in the pharmacological & culinary fields. I heartily congratulate Dr Sudhir Ahluwalia for all the painstaking efforts which he has put into bringing out this masterpiece treatise on the chosen subject. This book investigates herbs of the Bible and other historical religious and other literature and seeks to answer the questions around herb origin, trade, archaeological evidence, current state of scientific research, medicinal properties etc. Ginseng is an adaptogen used in ancient traditional Chinese, Korean and Japanese medicine as a restorant, memory enhancer, as an anticancer, anti-diabetic etc. It is cultivated in multiple countries of Asia, Europe and North America. The herbs botany, cultivation, multiple medicinal and other uses are discussed in this 27 minutes long DVD video. Here is the preview link for this video book. – 2016 – Natural products business, case studies and emerging trends in natural products, genomics, bioinformatics, drone technology, robotics, e-aggregators, healthcare, fintech, networking. – Features on companies based out of India, Hongkong, Australia, Portugal, USA, Canada, UK, France and Singapore.